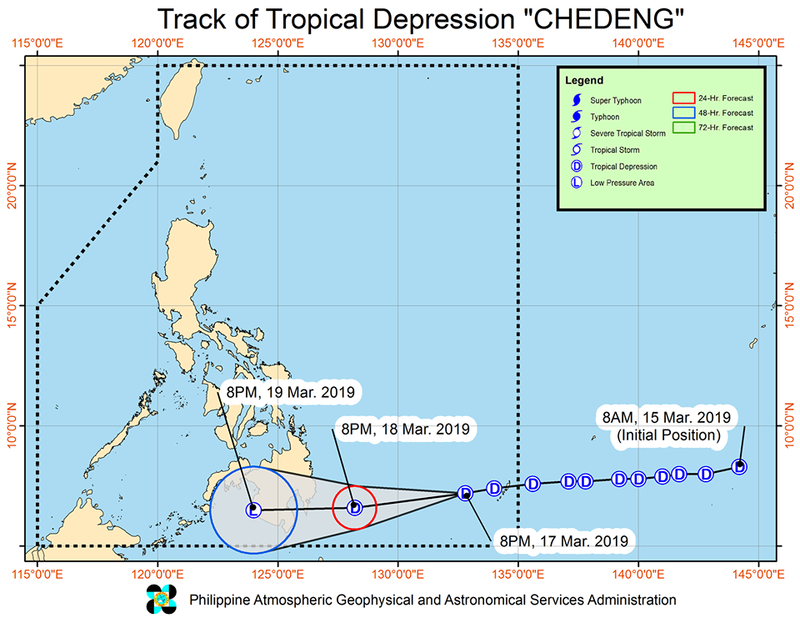 MANILA, Philippines – 'Bagyong Chedeng', the third tropical cyclone to enter the Philippe Area of Responsibility (PAR) this year, has slightly slowed down while maintaining its strength, state weather bureau PAGASA announced in its 5:00 am bulletin on Monday, March 18, 2019. 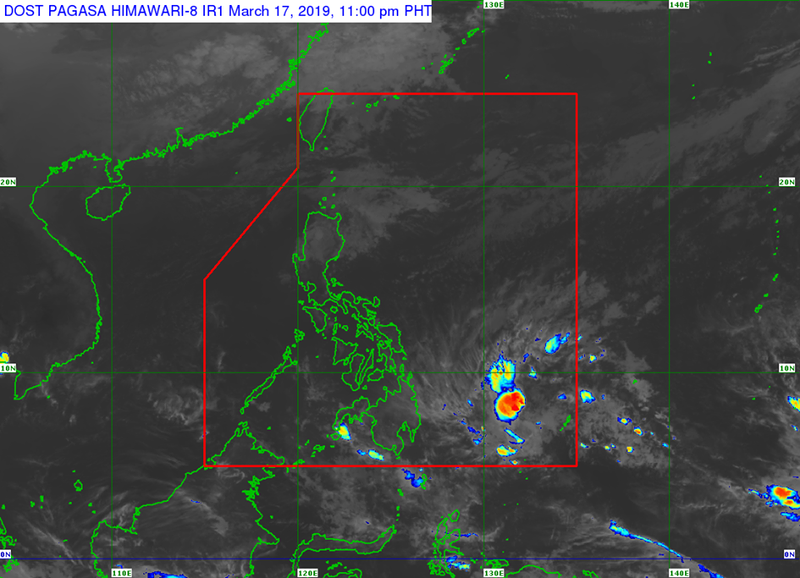 PAGASA added that tropical depression may make landfall over the eastern coast of Davao Oriental tomorrow morning, March 19. At 4:00 am today, the center of 'Bagyong Chedeng' was estimated based on all available data at 650 km East of Davao City. 'Chedeng' has maximum wind strength of up to 45 km/h near the center and gustiness of up to 60 km/h. It is moving West at 15 km/h. Scattered to at times widespread moderate to heavy rains will prevail over Surigao del Sur, Agusan del Sur, Davao Oriental, Compostela Valley, and Davao del Norte today and in most parts of Mindanao tomorrow. The disaster risk reduction and management offices concerned and residents of these areas, especially those living in areas identified to be at high risk of flooding or landslide, are advised to undertake necessary preparations and continue monitoring for updates. Those with small seacrafts are advised not to venture out over the eastern seaboards of Visayas and Mindanao, as well as the seaboards of areas under TCWS.